Capital District Retirees Local activist James Ingoldsby, center, was recently named the Retiree PEOPLE Recruiter of the Year for 2017-18. He was also our PEOPLE Recruiter of the Month for June. 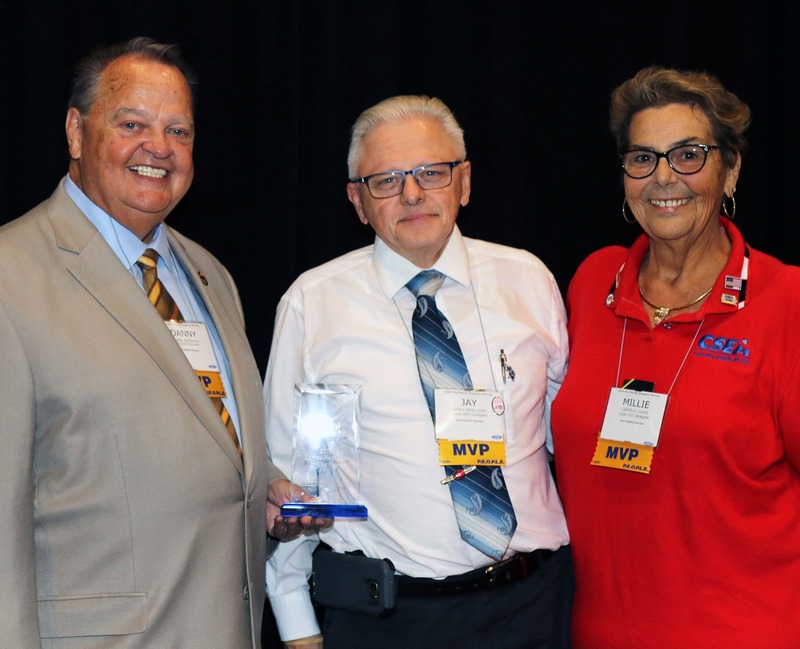 Congratulating Ingoldsby at the recent CSEA Retiree Delegates Meeting in Albany are CSEA President Danny Donohue, left, and CSEA Retiree Executive Committee Chair Millie Lucas, right.